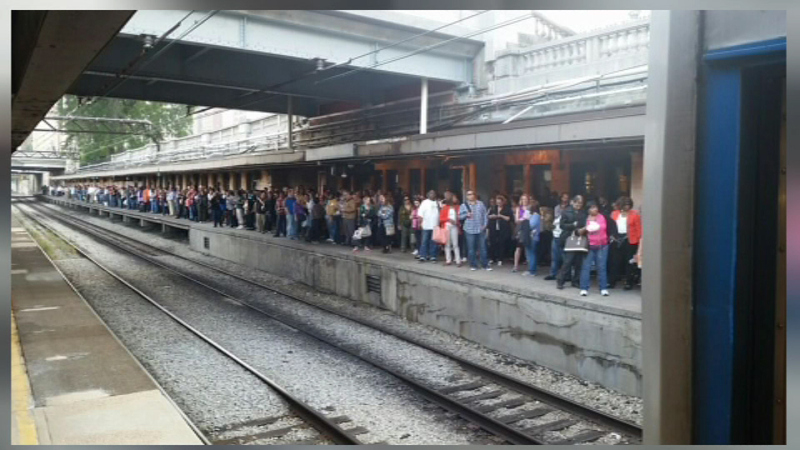 Crowds at the Van Buren Metra stop, delayed due to downed electrical wires near Millennium Station Friday, Sept.. 25. CHICAGO (WLS) -- The Metra Electric line experienced major delays Friday evening due to downed electrical wires near Millennium Station, officials said. Delays ranged from 15 to 30 minute due to the wire issues. Trains were back to normal schedules at about 8:15 p.m., according to the Metra website. Officials said the issue affected three of five tracks.